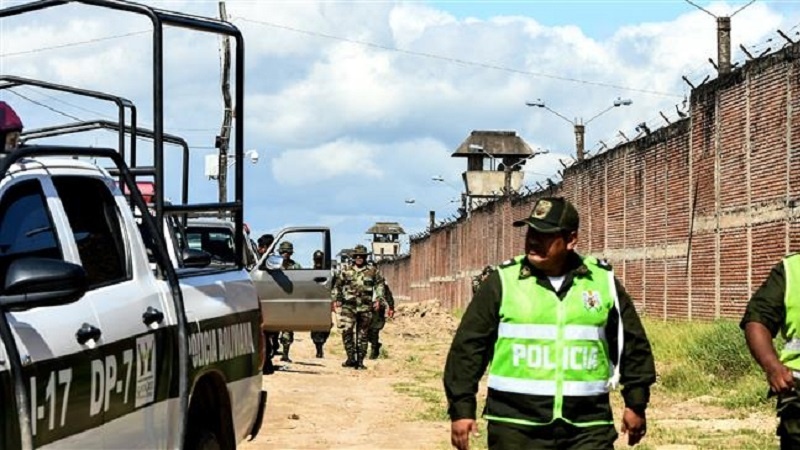 Police stormed a riot-torn prison in Bolivia early Wednesday, killing six inmates in an operation that also left two dozen people injured, authorities said. Police said six police and 18 inmates were injured in the operation, which was launched to search the prison for weapons and drugs in the wake of a riot. The police separately revealed that they seized 85 knives, nine firearms, four grenades and 188 mobile phones, according to the newspaper La Razon.